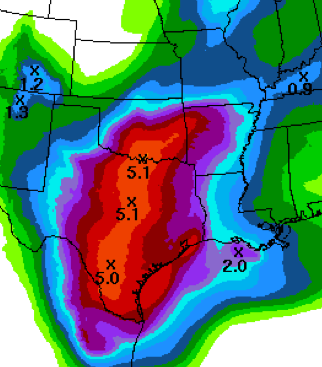 Here is the rainfall amount forecast for the rest of this week. Here is Wichita, we had an 11-year old boy swept away while playing in a flooded creek Friday and there have been several flood fatalities in Texas. Please stay away from flooded areas, especially by car.